One of Berlin’s bizarre summer storms had just swept in and cleared the last traces of the August heatwave, but the sand at Badeschiff was packed with festive-feeling, deckchair-lazing beer drinkers. The optimistically named ‘Sommerloft’ series has been hosting intimate beachside performances throughout August, and on Aug. 18, the rooftop stage belonged to Cleveland trio Cloud Nothings. Prior to the show, frontman Dylan Baldi sat down with Berlin Beat to discuss the band’s brilliant new album and to dispel some internet rumors. Cloud Nothings’ fourth record, “Here and Nowhere Else”—follow-up to 2012’s runaway success, “Attack on Memory”—has gone down a storm this year. Pitchforked named Cloud Nothings “best new music,” the band has been name-dropped on a ton of mid-year “Best Of” lists and, unsurprisingly, it’s seen the trio tour relentlessly. Wrapping up in just eight tracks, album closer “I’m Not Part of Me” is triumphant. The opening lines, “It starts right now / there’s a way I was before / But I can’t recall how I was those days anymore” are as much a victory speech as a declaration of confidence. Although he jokingly promised that next album will involve both Danny and a Parisian-inspired accordion, Cloud Nothings is fronting for straight-up, no frills guitar music—and doing a great job at it. In a year that’s revolved around twerking, trap, and lush, funk-inspired production, Cloud Nothings has proved that rock is still more than relevant. That night, a sold-out show at Sommerloft reached capacity within the half-hour, and opening band PUP (not “poop,” as the Germans would have you pronounce it) did a stellar job of setting the tone. With a full crowd already in place, Dylan Baldi, drummer Jason Gerycz, and bassist TJ Duke had to push their way through to take the stage, welcomed by whoops from a very expectant audience. As the sun set over the Spree, the trio fired through a set crammed with gems—older favorites “Fall In” and “Stay Useless” provoking a bouncing, effusive singalong. Gerycz’s drumming is genuinely a tour de force, driving the set just as much as Baldi’s throaty vocals. “Pattern Walks” was as brutal live as it is on record, and new(ish) single “Psychic Trauma” has all the makings of a new classic. Cloud Nothings is—undeniably—a band on top of its game. And with Baldi’s drive (“I want to put out another record next year… If I don’t I’ll just feel lazy”) we’re guaranteed plenty more good times to come. 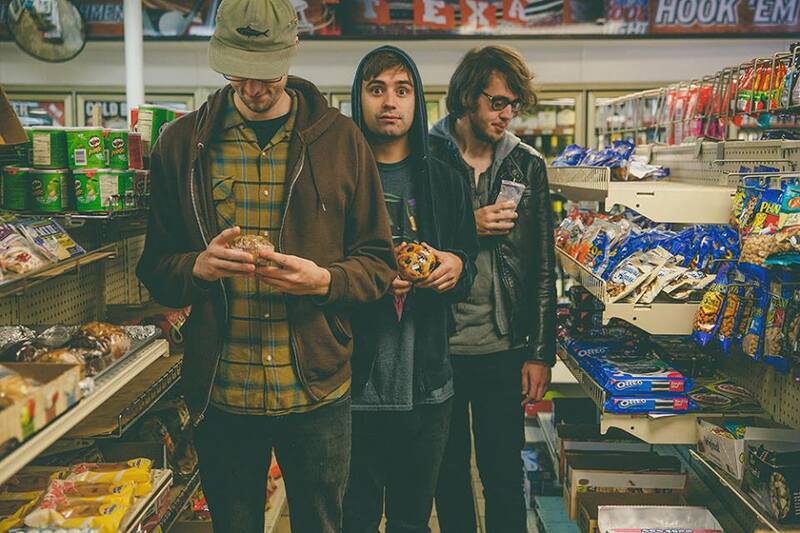 This entry was posted in Interview and tagged American, Cloud Nothings, Feature, Interview. Bookmark the permalink.